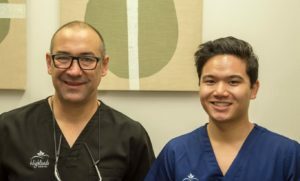 The team at Highlands Dental are dedicated to helping you and your family achieve a beautiful, healthy smile for life. They take a comprehensive approach to your oral health and will ensure you receive the dental care best suited to your overall health needs. They are renowned for their caring gentle nature and high level of treatment results. 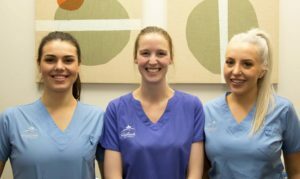 Highlands Dental prides itself on listening to their patient’s needs, giving clear, honest communication and skilled professional advice about all possible treatment options. The best way to maintain good oral hygiene is to brush and floss your teeth and to visit your dentist regularly. Your dentist not only examines your teeth for signs of decay or damage, they also look for early signs of gum disease and oral cancer. Highlands Dental is proud to be an QIP Accredited Practice. Contact our friendly front desk team and book in for your next appointment today.